A modernist-inspired mountain home outside of Aspen, Colorado, sports gorgeous wood paneling and concrete walls detailed in the style of Louis Kahn’s early architecture. 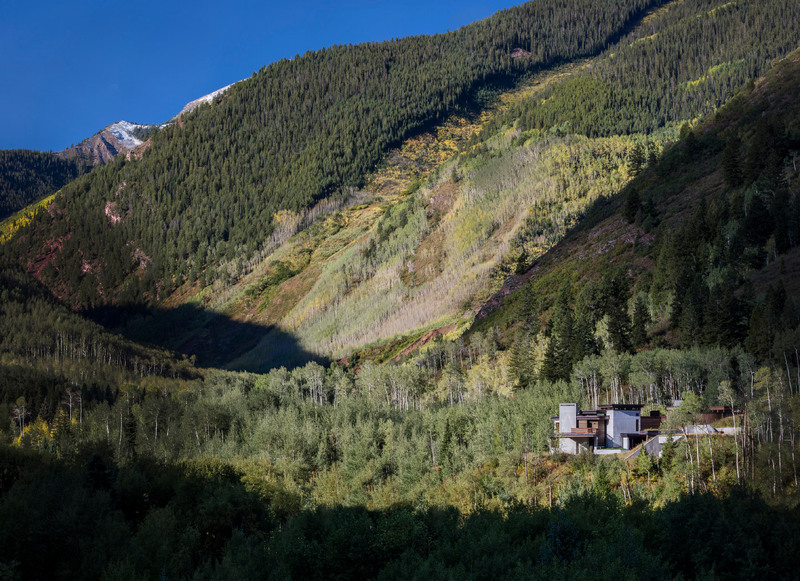 Dreamed up by Madderlake Design for an active couple and their championship hunting dogs, the 7,500-square-foot Conundrum House and Studio brings a minimalist Japanese sensibility to the remote landscape of the Rockies’ Castle Creek Valley. Design principal Tom Pritchard, a former long-time resident of Aspen, said his team was trying to create a twist on the typical chalet-like, rustic cabin. “We were aiming for luxury rooted in simplicity,” he said. “As you move throughout the house, from space to space, the details feel as if they came from the hands of craftsmen.” But that personal touch was intentional. Madderlake selected materials that fell in line with this natural and effortless aesthetic, such as the simple graining found in Douglas fir, weathered western red cedar, and reclaimed heart pine that are featured on the floors, siding, and ceiling. According to Pritchard, mountain homes tend to be grandiose with massive logs and heavy patterns. 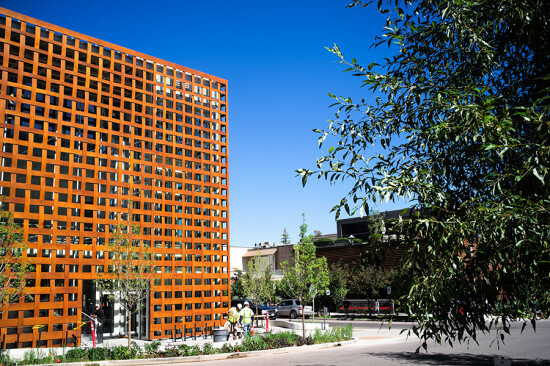 Madderlake’s low-hanging, multistory structure combines stucco, soapstone, and Japanese plaster to bring the overall tone of the building back down to earth. One of the biggest design challenges Madderlake faced was protecting the Conundrum House from the threat of an avalanche. The design team incorporated a concrete retaining wall to complement the structure’s steel core and broke up the mass of the building by burying the majority of living spaces deep within the hillside. They then sculpted the landscape to minimize the impact of a potential snowslide. Though much of the house is underground, Madderlake designed the inside levels as a series of steps with small window units that diffuse light into the depths of the building. The result is a bright, inviting interior that’s as elegant as it is cozy. 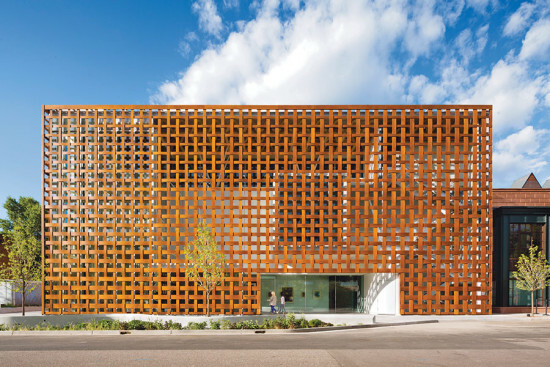 New York—based architect Annabelle Selldorf (under her firm Selldorf Architects) has designed a new space for the Marianne Boesky Gallery in Aspen, Colorado. The new 3,000-square-foot project, known as "Boesky West," will occupy the former cabin of 1800s photographer James “Horsethief” Kelly. Working with local studio David Johnston Architects, the cabin will be reconfigured to serve as a new arm for the Marianne Boesky Gallery, which is located in Chelsea, New York. While the inaugural exhibition is still in the works, the gallery will open in Aspen on March 8, 2017. However, works by artists Frank Stella and Larry Bell, who are good friends with Marianne Boesky, will be on show come March 8. The exhibition will look at the pair's work in the realm of abstraction, material, light, and space while forming a discussion around their practices. 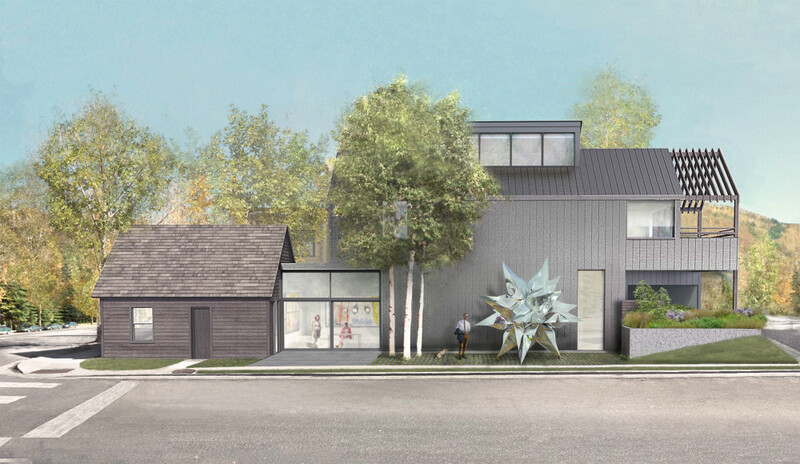 Last year the gallery's flagship Chelsea location doubled its size to 13,000 square feet and now, with the new space in Aspen, Boesky intends to create opportunities for interaction among artists and Aspen's dramatic landscape and its cultural community. Fossil fuel dependency is now a thing of the past for this municipality on Colorado's Western Slope. Aspen has just announced that it's only the third city to kick the habit and is fully reliant on renewable energy sources. Earlier this month, the Aspen Times reported that the city had reached the landmark after it signed a contract with electrical energy provider Municipal Energy Agency of Nebraska. As part of this process Aspen swapped coal for wind power to make up for the non-renewable energy deficit with its energy also coming from hydroelectric, solar, and geothermal. 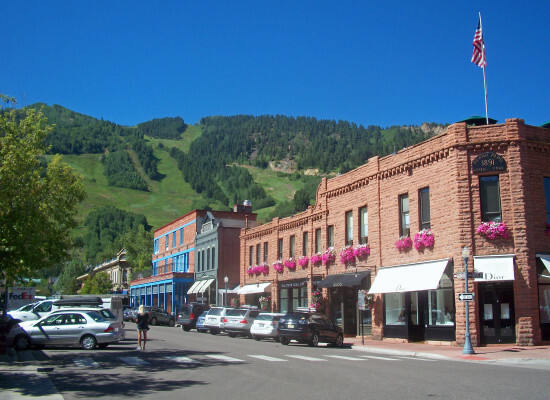 Prior to this, Aspen had been running on an estimated 75 to 80 percent renewables. The feat was also able to be realized due to the recent drop in solar energy prices. In fact, the cost of solar energy is predicted to fall further still, dropping below $0.50 per watt in the next few years. Solar energy is not alone in this trend. In what's a good economic indicator of renewable energy's growing popularity, wind power is also much cheaper than it was just a decade ago. This trend toward renewables was likely aided by Obama's carbon regulations which made renewable energy alternatives increasingly competitive against fossil fuel sources such as coal. According to ThinkProgress, "already, more than one-third of American coal plants have been shuttered in the past six years, and the new carbon rules make it quite possible that no new coal plants will ever be built in the United States." “It was a very forward-thinking goal and truly remarkable achievement,” Aspen's Utilities & Environmental Initiatives Director David Hornbacher said. “This means we are powered by the forces of nature, predominately water and wind with a touch of solar and landfill gas. We’ve demonstrated that it is possible. Realistically, we hope we can inspire others to achieve these higher goals” Renewable energy has long since been on Aspen's agenda going back to the 1980s with the Reudi and Maroon Creek hydroelectric projects. Highlighting the accomplishment, former Project Coordinator Will Dolan said Aspen only began working toward its goal of 100 percent renewable energy about a decade ago. Beating Aspen to the 100 percent renewable landmark were Burlington, Vermont and Greensburg, Kansas. Then the questions from the audience began. The second or third was from a fairly insistent character whose premise was that great "iconic" buildings nonetheless fell short as fully attractive and effective "public places," where people were drawn to congregate and spend time. He said he was challenging Gehry to do even more to make his buildings attractive by this measure too. [For those watching the video, this all starts around the 54:00 mark] [...] But the questioner asked one more time, and Gehry did something I found simply incredible and unforgettable. "You are a pompous man," he said -- and waved his hand in a dismissive gesture, much as Louis XIV might have used to wave away some offending underling. He was unmistakably shooing or waving the questioner away from the microphone, as an inferior -- again, in a gesture hardly ever seen in post-feudal times. Yowza yowza yowza! The guy puts Woody to shame. And ever since, the drama has been playing itself out on Fallow's blog, the PPS's, Curbed LA, and now, we're happy to say, here. It also begs the question that, if Kent's right, maybe we're all better off without Gehry designing huge swaths of Brooklyn and LA after all. Correction: That was Tom Pritzker, not James Fallows talking to Gehry. Fallows was in the audience. Thanks to Chris Hawthorne for the catch. We've updated our post.